Over the past year, the United States has seen trust levels in its intitutions erode significantly. 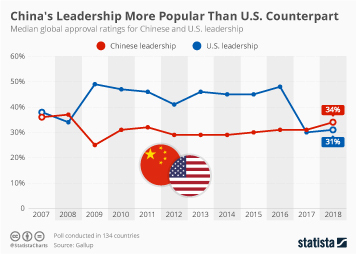 According to the 2018 Edelman Trust Barometer, the U.S. has seen trust in its institutions drop 37 percentage points while at the other end of the scale, China had a 27-point gain. Government in particular serves as an important trust indicator and the Chinese have the highest levels of faith in their political process of any country worldwide. Edelman found that 84 percent of people in China trust the government, an increase of eight percentage points on 2017. Indians also have a high degree of trust in their government with 7 out of every 10 people trusting it. Elsewhere, Turkey is still recovering from the dramatic coup d'état attempt in 2016 and government trust levels there stand at 51 percent. 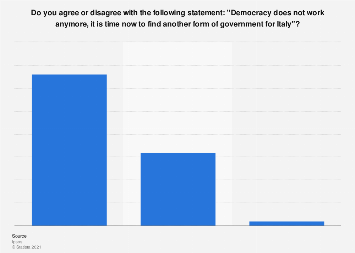 Due to Brexit, the UK is arguably more divided than at any other time in modern history and only 36 percent of people there trust their government. The U.S. is even lower in Edelman's ranking with only a third of people saying they have faith in the government, a 14 percentage-point drop on last year. 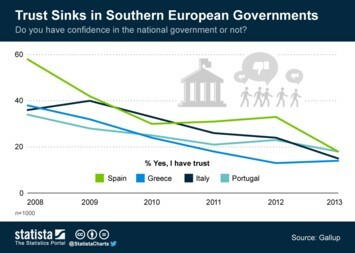 This chart shows the share trusting the government and change from 2017 to 2018 (selected countries).